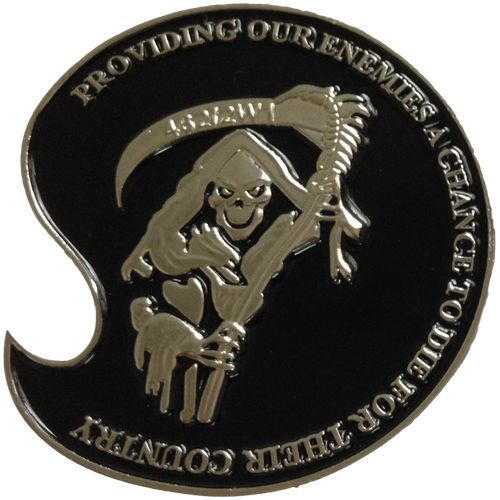 The Weapons Bottle Opener Reaper challenge coin has been updated from previously circulated editions to higher quality coin. 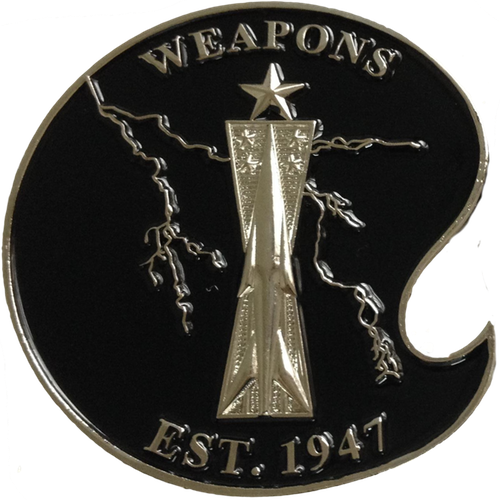 This United States Air Force Aircraft Armament Specialist career field challenge coin is a good addition to the collection and has been around for some time. 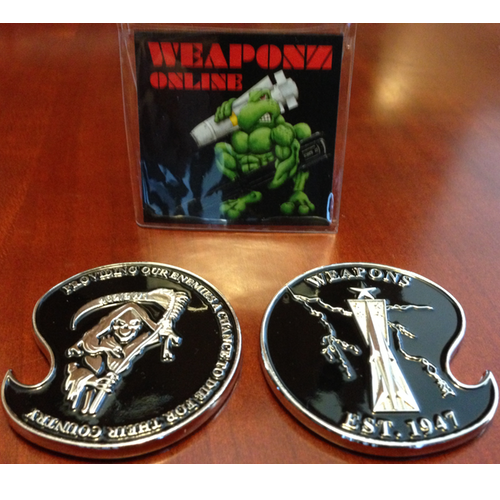 It also has a bottle opener cut into it, which is definitely useful for any 2W1X1 or former 462X0 weapons troop!